A recently published study in the Drug and Alcohol Review examined 473 adults who substituted cannabis (marijuana) for "alcohol, illicit substances and prescription drugs." The subjects were using cannabis for therapeutic purposes (as opposed to the recreational use of marijuana). The study found that: "Substituting cannabis for one or more of alcohol, illicit drugs or prescription drugs was reported by 87% (n = 410) of respondents, with 80.3% reporting substitution for prescription drugs, 51.7% for alcohol, and 32.6% for illicit substances." 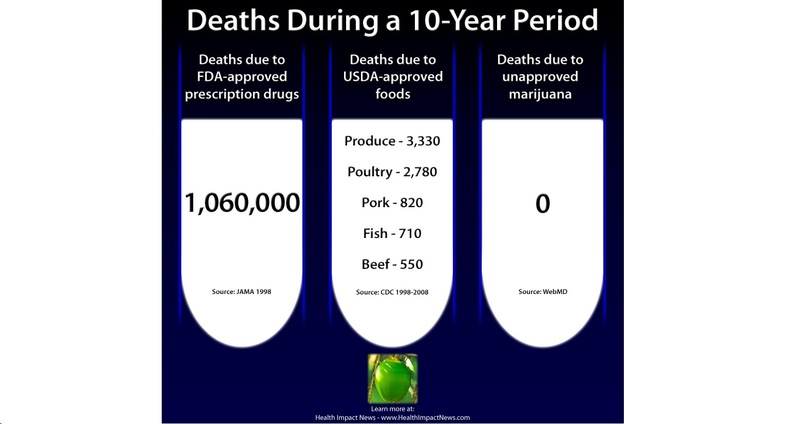 Given the relative safety of cannabis (no recorded deaths from side effects of cannabis), and the tens of thousands of people who die every year from prescription drugs, cannabis should be looked at as a viable treatment for a variety of illnesses, as well as a substitute for "other psychoactive substances" that cause great harm through addiction and multiple side effects.